1) The Billables Report gives you an account summary and a balance due for all open cases. This report can be exported. 2) From the Caseload Manager home screen, click REPORTS > Billables. 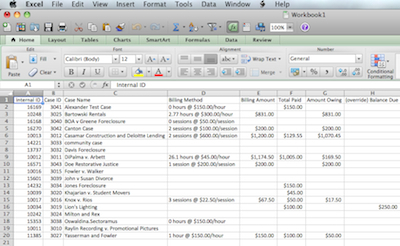 You will need to choose what types of cases to include (All, Open, etc. ), and choose what date range you would like this report to cover. 3) A new window will pop open showing you a billables report for all of your cases. 4) You can print the report as is, or you can click export to download a .txt version of this report. 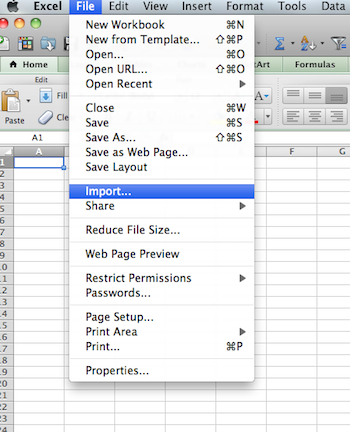 5) If you choose to export this file, save it to your desktop. Open Microsoft Excel, and create a new worksheet (unless you already have an existing report that you would like to merge the information into). 6) Click File >Import. Open as a .CSV file (this is the default setting). In the Open screen, you might need to Enable: All Files or select File Type: All Files. 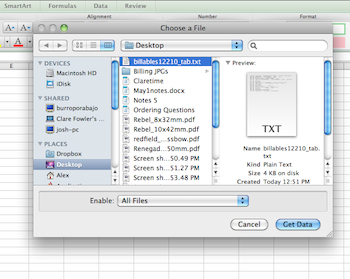 Your report should be at the top of the list, entitled "billables(ID#)_tab.txt"
7) Click Next, Next, Finish, and OK.